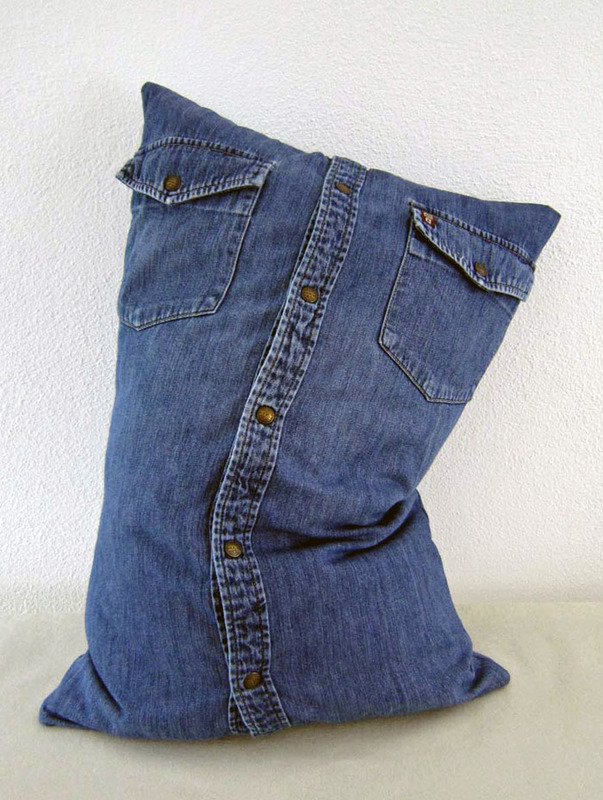 Think green and re-use an old (denim) shirt and a few fabric leftovers to make this great pillow! No need to insert a zipper – the button facing of the shirt will do nicely. Participate in our first INTERNATIONAL BLOCK SWAP! Details and lots of inspiration (free block patterns!) available at our website www.Quilt-Around-the-World.com. Finished Size: 16" x 24"
Jutta and Johann have been working together for almost two years setting up the platform for their new independent and international online quilt magazine Quilt Around the World. 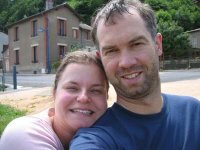 Johann concentrates mainly on the technical issues, but is very involved in the design process of every project Jutta tackles for Quilt around the World. Johann is Austrian and started quilting in 2010. In his spare time, he loves doing dangerous things: mountain climbing, skiing, hiking through the wilderness and motorcycling. Jutta is Bavarian and started quilting in 1996. When she isn’t quilting, she enjoys reading, going to the movies, swimming, travelling, or trying to keep up with Johann on almost vertical hiking trails or ski slopes in the Alps. When I started my professional life in accounting in 1995, I soon felt swallowed up by the rhythm of one monthly book closing after the other. You feel as though you are living your life on a treadmill made up of numbers and key figures. I do enjoy my job, but it became obvious that I needed the creative counter balance of making things that remain made. I enjoy designing quilt tops. And it’s the same as with cooking: If you like to eat you should at least have a basic knowledge of cooking. So I started to learn to quilt. And there is another reason: I work the whole day in front of a computer. It is a lot more satisfying to produce something physical, something which you can touch. I seem to return again and again to Ocean Waves and Lady of the Lake patterns. This is also reflected on Quilt around the World – currently, we have a quilt project for each block pattern online with many more projects in the pipeline. Jutta and I designed a block called “Firmament“. 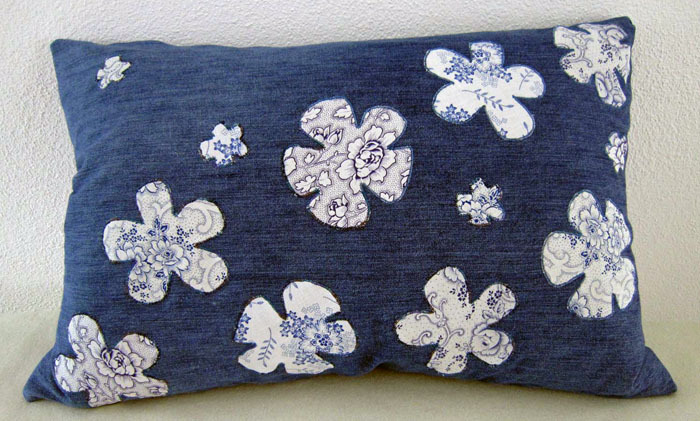 It consists of a lot of scrappy triangles which create a secondary pattern when placed side by side. I hope we’ll be able to publish the Firmament project on Quilt around the World very soon! I love spending time with our friends and families. Otherwise I am a huge Jane Austen fan and reread her novels at least once a year. I also run and swim regularly. During a visit to the USA in 2008, I was searching high and low for a Fiddler’s Fern quilting stencil, a very old and beautiful motif. At a booth at one of the large quilt shows, I finally found it. Because I thought that my (German) companion was still close by, I expressed my joy in German and quite audibly apparently. When I was waiting at the cash register, a lady tapped me on the shoulder, smiled without saying anything and handed me another stencil with the motif in a smaller size. I was so surprised that I completely forgot to hug her! I remember Jutta standing in front of her just finished quilt which had taken her over 10 years to complete, with a really big smile of satisfaction on her face.